How is a Mobile Website Different from a Regular Website? The world of Internet marketing evolves rapidly, and you must keep up if you are to stay relevant in today’s nit-picky consumer market. One growing trend is mobile web development. 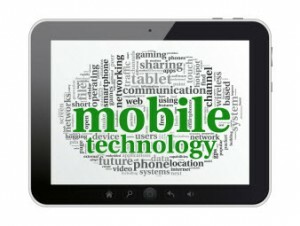 If you know anything about creating a strong Internet presence, then it is likely you have heard the “mobile” buzzword. But what is going mobile all about, and just how is a mobile website different from a regular website? Read on to find out. Navigation. Users often navigate traditional websites by scrolling up and down, whereas mobile web design generally employees left/right navigation – left to go back to the home page, and right to move on to the next page. View-ability. People who access a website via a mobile device are typically viewing it on a very small screen. Therefore, the font, layout and graphics should be simple and clear. When it comes to mobile web design, you must be careful not to overpower your content with graphics, or to cram too much content into one space. Loading times. Mobile websites are developed to work on a multitude of devices, some with much faster processing speeds than others. For example, some people access the web using off-brand tablets (slow-loading), while others access the web using lightning-fast iPhones. This means that mobile websites must work well in the lowest common denominator of all those devices, which in turn means page loads should ideally be below 100K (the “size” of two to three standard graphics). Content. Again, mobile sites are viewed on smaller than average screens; therefore, content on a mobile site is generally shorter and more concise. Graphics. In addition to being clear and viewable (as previously mentioned), graphics should be light-weight, or quick-loading. Many people who view the web via a mobile device pay fees for data transfer – the more data, the more it costs; therefore, graphics are generally only used when they are a necessary component of the site’s content (as opposed to being purely decorative). 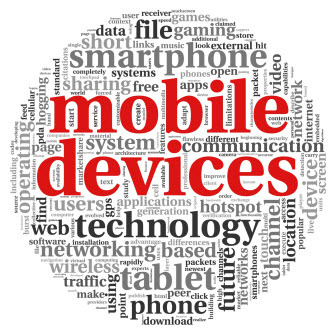 Studies show that mobile web use greatly outweighs web use from a desktop or laptop computer. Therefore, mobile websites meet a much broader audience – an audience that does not necessarily ever view traditional websites. Basically, the mobile web audience is unique from the traditional web audience, and expects certain things. If you are interested in catering to the mobile web audience, then you could benefit greatly from hiring a specialist in mobile web design.